Amy is the owner of Class 101 Boise/Meridian, where her mission is to help students and families navigate the complex process leading to successful and affordable college admission. Amy is a college planner with a Bachelor of Science in Nursing and a Master’s in Health Science, both from Boise State University. Her nursing career has always focused on children and she has worked as a Pediatric nurse, a Neonatal nurse and a school nurse. Amy made the decision to make a career change, but she knew that she still wanted to be a positive force in the lives of children and young people. Amy’s research led her to Class 101 and she soon realized that her philosophies aligned with theirs and that she could continue to make a difference for students and their families through college planning. Over the last 20 years, Class 101, a national leader in college planning, has helped over 3,200 students earn over $254,015,787 in scholarships, study and prepare over 8,000 ACT/SAT tests and attend over 300 colleges around the world. TO LEARN MORE ABOUT PRIVATE SKILLS TRAINING WITH JARED, CLICK BELOW! TO LEARN MORE ABOUT PRIVATE SKILLS TRAINING WITH DEREK, CLICK BELOW! 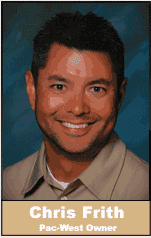 Chris serves as owner and founder of Pac-West Baseball. He has developed one of the most recognized pitching camps in the Pacific Northwest through the "Pitchers Only" Prospect Camp. Its tremendous success over the past years was the inspiration for Pac-West. Driven by perfection and a strong work ethic, Chris takes great pride in the attention given to each camper. He founded Pac-West with the philosophy, "I will work hard to give each camper a first-class experience with highly qualified experienced pitched instructors." Since 1998, 100's of pitchers have gone into the college level and over 50 Pac-West pitchers have been drafted, including seven that have made it to the major leagues! All Sports Recruiting works hand in hand with Pac-West Baseball to provide camp opportunities, coach networking, and private lessons for athletes during the athlete recruiting process. Collin is the owner and operator of MPACT Training, a local business providing athlete mentorship accompanied with customized speed and agility training. Uniquely catering to athletes of most sports, MPACT training sessions involve evaluation of individual skills and customized improvement plans specific to an athletes sport, position, and team. Because of Collin's extensive experience in playing, coaching, and training (with an emphasis in quickness and agility training), each athlete is mentored through the MPACT training program walking away with a leg up on their competition. 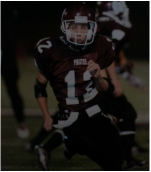 Collin began playing football in middle school and continued through high school and college, attending Blinn Junior College for 2 years before transferring to West Texas A&M. Upon the completion of his degree, he officiated junior high and high school football in Texas. Collin and his family have been involved with sports his entire life, making his experience, knowledge, and passion unbeatable. All Sports Recruiting works hand in hand with MPACT Training, LLC to provide mentorship, speed and agility training opportunities for athletes during the athlete recruiting process.